Can I Play Swiss Lotto Online? Read 2 Reviews! Swiss Lotto Exposed — Can You Become the 865th Millionaire? So far in 2016, Swiss Lotto has produced 22 millionaires. Over the years that a track of the winners has been kept, there have been 864 millionaires. With massive jackpot rollovers, the game ranks among the most popular in Europe. Luckily, with online ticket buying options, its popularity has started to grow across the globe. Swiss Lotto is known to produce outstanding jackpots time after time. Though the price of the ticket is a bit more expensive than what other international lotteries have to offer, this one is definitely worth testing your luck with. The first Swiss Lotto drawing took place on January 10, 1970. The original format was a bit different – players had to choose 6 numbers from a pool of 40. In 1986, the format was changed to 6/45. An additional Joker game was launched in 1988. The Joker is still available today, giving players an opportunity to win even higher prizes. The final format change was announced in the summer of 2013. This is when the game got its current matrix. Today, you have to pick 6 numbers from a pool of 42 and an additional number from a pool of 6 for a chance to win the jackpot. Is Swiss Lotto a Scam? 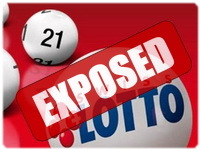 Because of Swiss Lotto’s popularity, various scams have been launched to abuse its name. The official national game, however, is a completely legitimate opportunity to win some money. Swiss Lotto is the creation of SwissLos and Loterie Romande. These two official entities are responsible for an array of the most popular lotteries available in the country – EuroMillions, Jass, Bingo!, Clix!, Sporttip and TotoGoal. Both cantonal laws and federal regulations apply to the functioning of the two official entities. This is how players can rest assured that they’re not going to get scammed. On top of distributing the prize funds, SwissLos and Loterie Romande are responsible for supporting good causes. Some of the funds generated through ticket sales go towards supporting 12,000 charitable beneficiaries. Most of the causes supported by the organization are in the fields of culture, art, sports, environmental protection and social causes. How to Play Swiss Lotto? As already mentioned briefly in the introduction, you need to choose 6 main numbers from a pool of 42 and an additional number from a pool of 6. Match all 7 numbers and you’ll become the next Swiss Lotto jackpot winner. Once the main numbers are selected, the player will have to decide whether to play Swiss Lotto with or without the Joker option. The additional activation of the Swiss Lotto Joker costs 2 CHF. A regular ticket purchased in Switzerland costs 2.5 CHF. Joker refers to an additional six-digit number. During each drawing, a six-digit number is chosen after the main 7 numbers get selected. Players that match some of the Joker digits will win an additional prize. The minimum requirement is to match at least 2 consecutive numbers from right to left in order to win. People that match all 6 of the Joker numbers can win an additional prize of several million Swiss francs (the Swiss Lotto Joker jackpot – a separate pool from the main jackpot). When buying tickets, players can submit their entries for upcoming drawings. The number of drawings for which a line is to be submitted will have to be indicated upon buying the ticket. A jackpot subscription is also available – the tickets are submitted only when the jackpot reaches a certain amount specified by the player. There are 8 ways to win a prize by playing Swiss Lotto. Obviously, the most attractive prize tier is the jackpot one. The odds of winning the jackpot are 1 in 31,474,716. The minimum guaranteed jackpot is 1.5 million CHF. If there’s no winner, the amount will roll over towards the next drawing. This is the main reason why Swiss Lotto has produced some pretty spectacular jackpots over the years. The biggest jackpot won till present day is 48.59 million CHF (49.91 million USD). This massive jackpot fell in the summer of 2014 and the lucky numbers that produced the biggest winner ever were 3, 4, 7, 21, 22 and 23 with a lucky number 2. The second biggest jackpot was 35.78 million francs and it fell in 2010. When it comes to additional Joker prizes, the biggest one ever was 5.88 million Francs and it was awarded in the final months of 2015. Joker prizes often exceed several million francs, adding a nice amount to the main prize tier (or even giving people that haven’t won a main prize some nice cash). Swiss Lotto’s second prize tier is distributed among people that have the 6 main numbers correct. The prize is 1 million CHF and the odds of this happening are 1 in 6,294,943. This is the maximum prize if there’s only one winner. In the case of multiple winners, the million francs will be divided equally among those people. Getting 5 main numbers and a bonus number correct comes with odds of 1 in 145,716. The prize is 10,000 CHF. Five correct numbers produce a prize of 1,000 CHF. Four correct numbers and a bonus number produce a prize of 150 CHF. The lowest prize tier is available for 3 correct main numbers. The award is 10 francs. The overall odds of winning any prize are 1 in 31. This is a pretty impressive number, especially when taking in consideration the fact that most of the tiers feature some pretty impressive sums. Swiss Lotto prizes are provided in the form of a cash lump sum. Keep in mind that Switzerland does have lottery taxation regulations. The final sum you’ll receive is the prize minus the tax that will get withheld. Prizes of up to 1,000 CHF are tax-free. The portion of the prize that goes above 1,000 CHF will be subjected to a 35 percent income tax. Players have 26 weeks from the date of the drawing to make a prize claim. Any amount of up to 1,000 CHF can be requested at multiple locations throughout Switzerland. Larger sums come with a separate procedure and the amount (minus the tax deduction) will be deposited in a bank account provided by the player. Can You Play the Swiss Lotto Online? Fortunately, Swiss Lotto tickets can be purchased online. A number of authorized online lottery agent platforms make Swiss Lotto tickets available to international players. They have a local representative responsible for buying tickets on behalf of a client. If you’re a resident of another country and you want to play Swiss Lotto, you may want to check local taxes in advance. Chances are that you’ll be subjected to double taxation upon winning a larger Swiss Lotto prize. Would you mind rating Swiss Lotto? This is as far, as Swiss Lotto shortcomings go. The lottery has been around for numerous decades, producing so many millionaires every single winner. If you like lotteries that feature special perks and you’re interested in big jackpots, this opportunity is one you’ll most certainly enjoy. How Much Does It Cost to Play Swiss Lotto Online? For one month, I am buying swiss lotto. Still, I have not won but the chances of winning are more comparable to other lotteries. I started to give this lottery great, but then read about the 35% tax. That certainly cuts into the overall winnings even in getting the jackpot. Then again, the odds on this lottery are pretty good and the jackpot does grow. Great that anyone can win from anywhere, especially playing online!